Recently, I felt an uncomfortable, persistent longing for change. After a few weeks of contemplating this feeling, I came to a sober realization that none of the big life changes that could happen - getting married, moving to a new city, or finding a career or ministry that felt like my calling - would fulfill this longing. I realized I was longing for Jesus. We live in this “already but not yet” period where Jesus’s death and resurrection already happened, but his Kingdom has not fully come yet. So we are left longing and waiting. 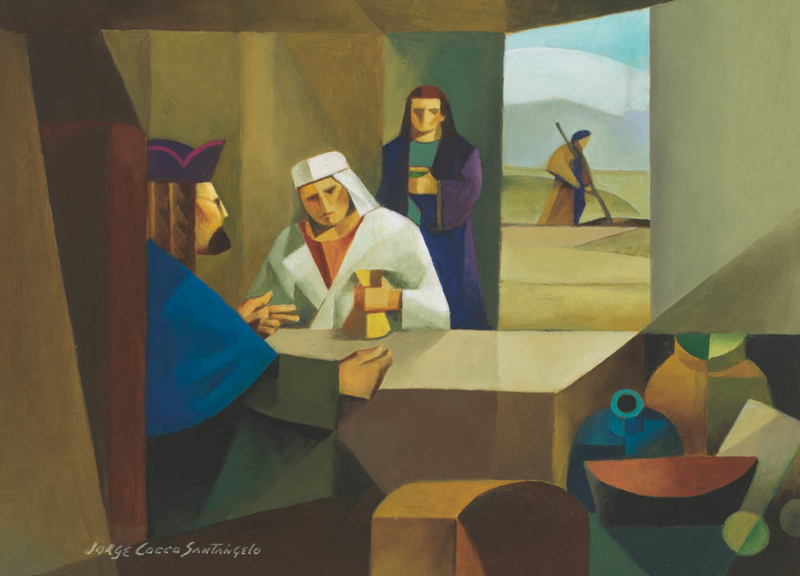 On his way to Jerusalem, Jesus told the parable of the ten minas to the people in Jericho to describe what they should do while they wait for his Kingdom to come. In telling them this, Jesus corrected their assumption that the Kingdom of God would come immediately. Waiting is indeed hard work. With waiting we must endure the suffering of unmet longing, but as Christine Hoover says, we wait forward, trusting in God’s promise that Jesus will come again and bring full redemption. If we don’t fix our hearts and minds on this promise, it is easy to, like the third servant, act out of fear and do nothing with what God has given us. But when we remember the promise, we can be like the first two servants who faithfully invested their minas and were rewarded with even more responsibility. Jesus didn’t tell this parable to demand that we achieve a certain amount to deserve our place in his Kingdom; the third servant would have obeyed his master’s instructions if he had simply put his mina in the bank to gain interest. But He is reminding us to be faithful with what He has given us to glorify Him and love others, for “to everyone who has, more will be given, but from the one who has not, even what he has will be taken away” (v. 26). Father, Your kingdom come, Your will be done on earth as it is in heaven. Thank You that You love me and that You’re with me as I wait for Jesus to come again. May my longing for You and Your kingdom be greater than any other desire. Please show me the business You want me to do, the ways You’re calling me to cultivate the gifts and resources You’ve given me in this life. Help me to see the joy and beauty in the present and to be a co-laborer in Your redemptive work. Lan-Vy Ngo has been attending The Falls Church Anglican since she graduated from UVA (Go Hoos!) in 2014. She loves writing, exploring cities and nature, and learning people’s stories. She also loves to serve through worship.